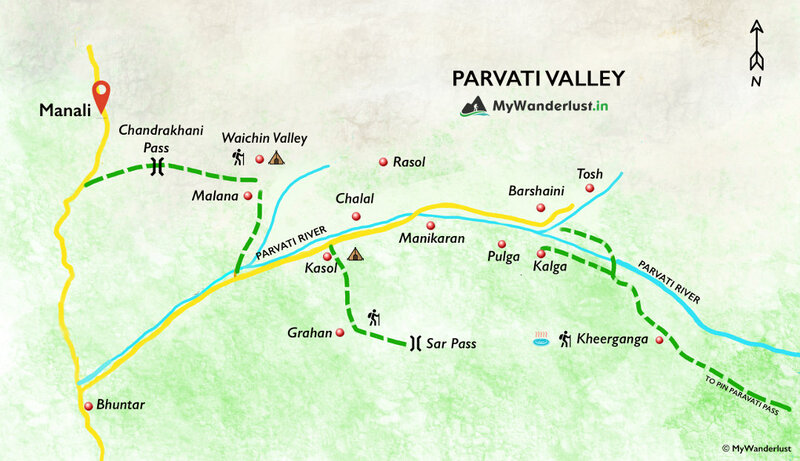 Kalga Village located at an altitude of 2298m in Parvati Valley, is a lesser known village beyond the settlement of Barshaini near Kasol, and is surely a traveller’s delight with giving a feel of closeness to nature. With the sky almost kissing the snow- covered peaks and plentiful of alpine beauty the place offers most alluring getaway from the usual hustle and bustle of a village. The old houses present here are abandoned. Most of the houses here have turned into cheap comfy home stays allowing the travellers to sink in the beauty of the place completely. Like Pulga, Kalga is also the base for Kheerganga trek. Most of the land covered with greenery all around because of the apple plantation which is the main source of income here along with animal husbandry. So with atmospheric solitude, the breathtaking views it can prove really the best place to chill and enjoy the simplest things here while getting lost in nature.